Fall weather is back where I live! We were having a bit of a heat wave for awhile here...I actually had to turn my AC back on! 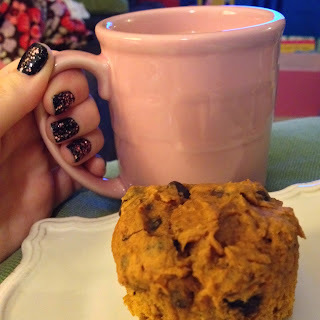 But last night, both girls were back in their long sleeved PJ's, the AC got turned off, and I made some more Pumpkin Muffins! 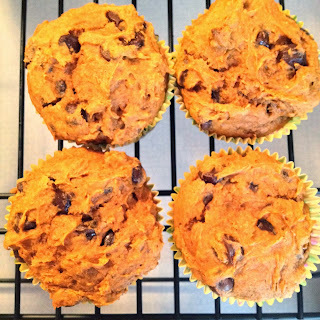 A few weeks ago, I shared a recipe for Easy Pumpkin Muffins. 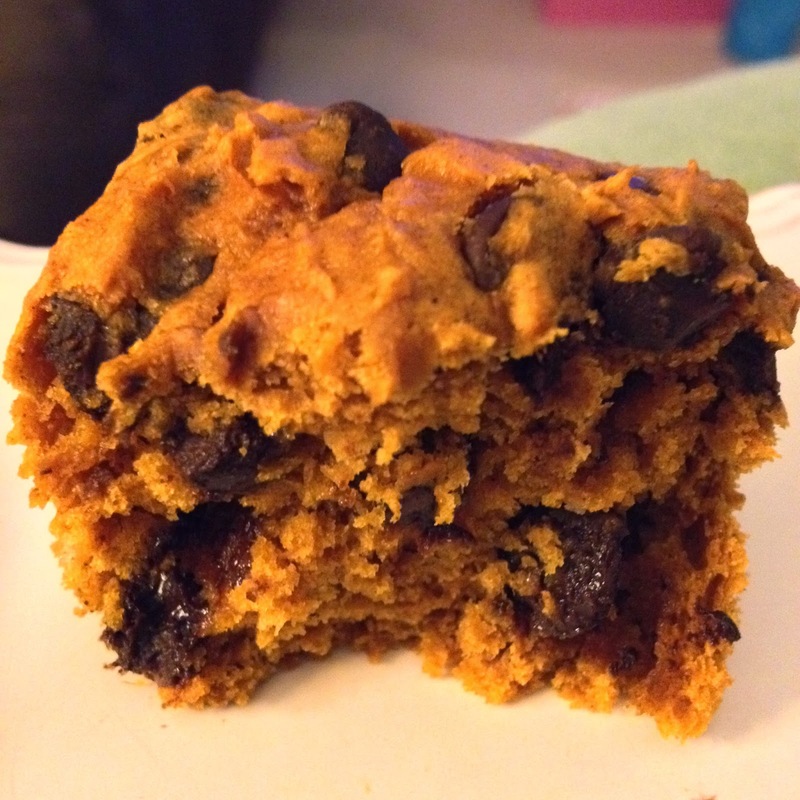 This recipe is the same idea with one less ingredient! 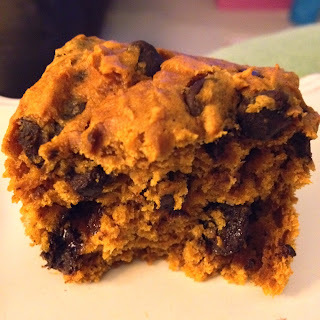 I like this recipe a bit better because the spice cake mix provides a deeper fall flavor! Of course, I will just make whichever one based on the ingredients in my pantry on any given day! These muffins are a fast and easy grab-and-go breakfast! They also make a perfect sweet treat for dessert! No raw eggs in the mix means that your kids can help make them and lick the spoon! You could also try baking this recipe in different shaped pans! But for me, I like to make muffins because that means I can eat them for breakfast! Which is exactly what I did this morning, with a delicious cup of pumpkin coffee on the side! Enjoy! oh my word... this seems so easy and yummy too!!! Lauren, just use a regular size can of pure pumpkin which is 15 oz.